Héctor A. Pereles was a former swimming and water polo athlete at the Ponce Lions Club, Puerto Rico and the Puerto Rico National Team. 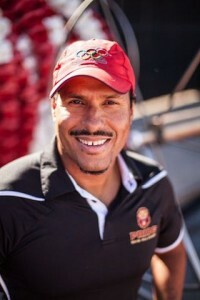 As an athlete, Héctor competed for Puerto Rico at the Junior Pan-American games in 1990 and Central American games in 2002 and won bronze and silver medals respectively. He has coached age group of local and national swimming and water polo teams for nearly 25 years. 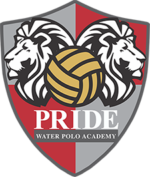 As the head coach of the Ponce Lions Club (Club Ponce Leones) swimming and water polo team since 1993, he obtained eight (8) championships and six (6) sub-championships in the various infant-juvenile categories, both male and female. Head coach of university Interamericana in PR (2012-2015). Hector has been the head coach of the Puerto Rico Water Polo Women’s National Team for the last 16 years, since their first participation at the Pan-American Games (1999) and Central American Games (2006). Obtaining two (2) silver medals at Cartagena, Colombia (2006) and at Vera Cruz, Mexico (2014), and a gold medal at Mayagüez, Puerto Rico (2010). As the head coach of the Junior Women’s National Water Polo team, we won several medals at the CCCAN games (Central American and Caribbean Amateur Swimming Confederation). Major achievements were the two (2) silver medals at Havana, Cuba (1995 and 1997) and gold medals at Mexico City (2003) and Dominican Republic (2005). Participated as several water polo clinics and completed certification programs offered by FINA (Federation International de Natation Amateur) and International Olympic Committee. He also completed the certified professors program for the Sport High Performance Course at the University of Castilla la Mancha (Spain) in 2008. He was recently selected as the Immortals Sports Gallery for his contributions as a coach for his hometown Ponce during the last twenty (20) years. He graduated from the Pontificia Universidad Católica de Puerto Rico, obtaining a bachelor degreed of Business Administration, with a major in Accounting. He was part of the swimming team at this university and at 1990 he won the outstanding athlete title of that year. Hector now lives in Simi Valley, CA with his wife Tania and his son Roba.